The restaurant is located – as mentioned – slightly outside the main town. It can be reached by a nice walk along the river. The beauty of a house – built in local style – is comprised of several “stueblis” (rooms) and does also have a nice outdoor area. 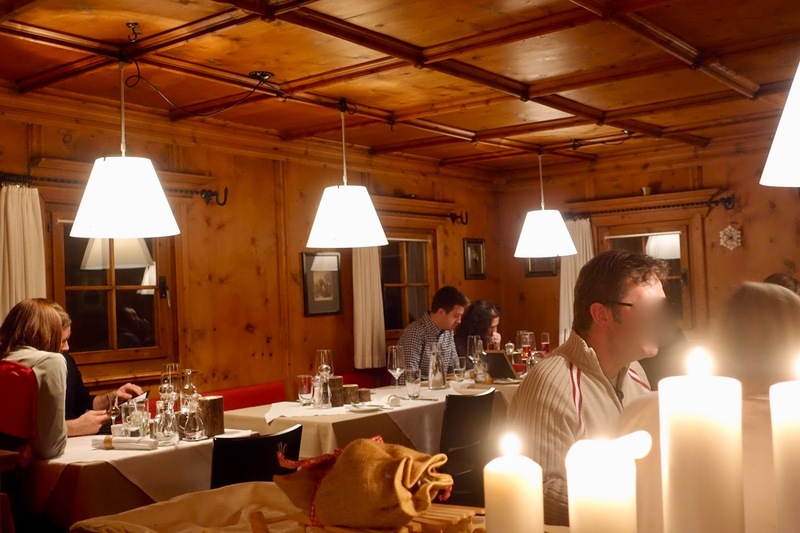 The main “stuebli” where you get the standard offer – cheese fondue is served in another room –, is nicely decorated in a cozy yet casual elegant style. The chef, Roger Luethi, worked at different restaurants and hotel restaurants in the near and wider surroundings, but always in the Alps because this is his homeland and he likes living in the mountains. This also shows when having a look at the menu. You find traditional dishes of the area there, but also some more modern dishes such as Asian inspired ones. The choice is limited, but well thought through. 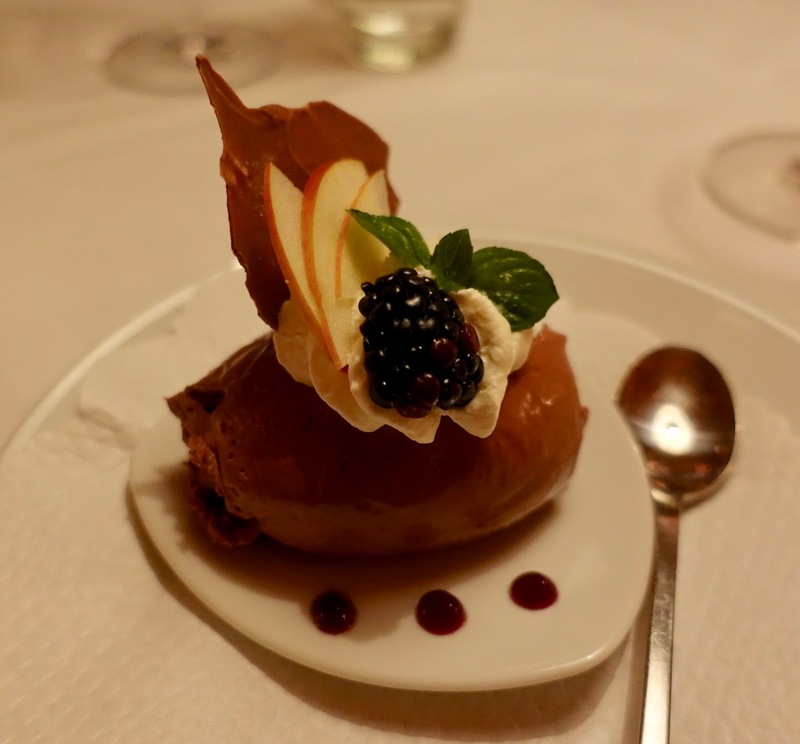 You can either have three or four courses from a degustation menu or choose from an a la carte menu. Everyone of our party of six opted for two to three dishes from the a la carte menu. 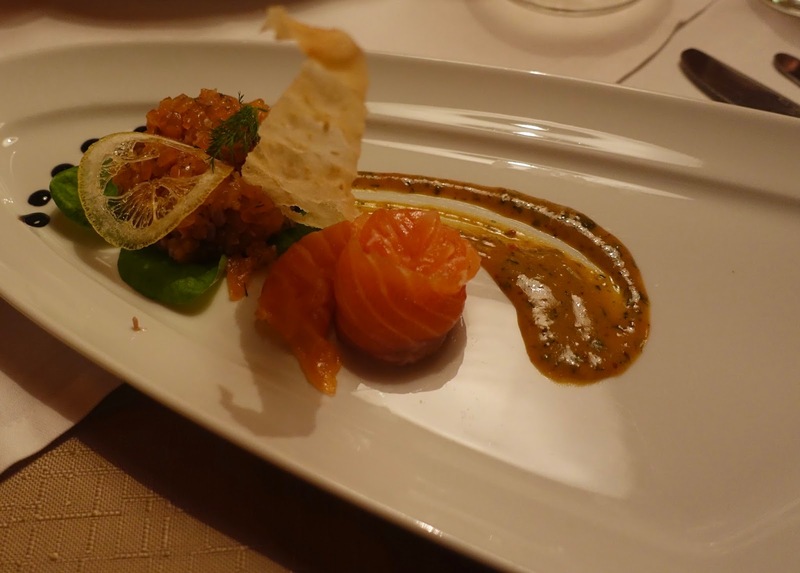 When it came to starters, the fanciest one was probably the duo of graved salmon – as a tatar and in slices – with mustard-dill sauce that not only was nicely arranged, but also was a tasty creation. 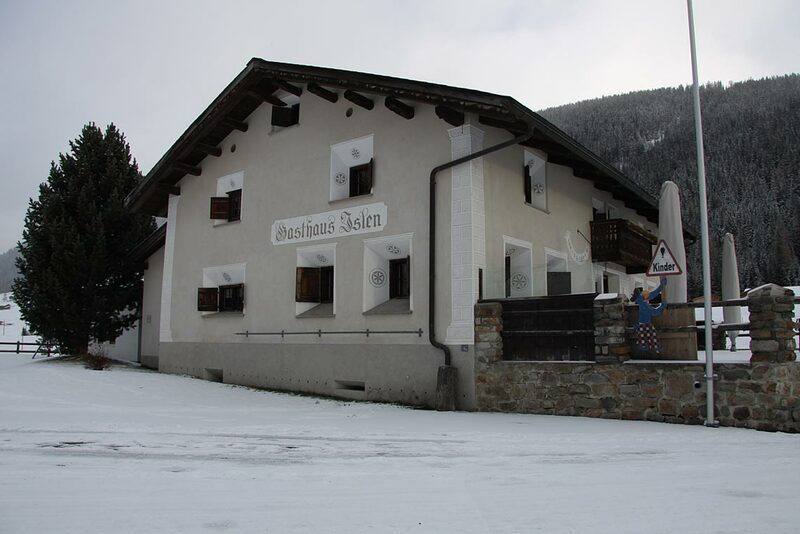 As for mains, I had a traditional dish from Graubuenden canton, where Davos is part of, named capuns. These are chard-wrapped dumplings made from spaetzle dough with dried beef, butter and cream. It was expertly prepared and full of taste. 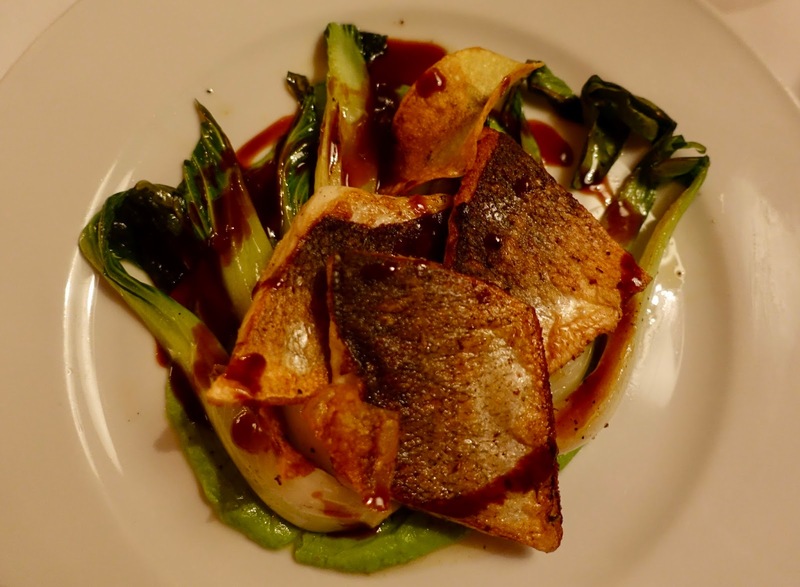 or seabass fillet on pea puree and pak choi, which to my eye were both just right in terms of composition. Having said that, the vegetables with the fish dish (pak choi) seemed a bit predominant. Regarding the size of portions, they were quite generous. You do not have to leave the restaurant hungry, even if you should decide to skip dessert, as I did not, of course. Having a sweet tooth no meal is complete for me without a sweet end, however at Gasthaus Islen I restricted myself to a mini dessert, a delicious chocolate mousse. Another good choice was a slice of cream cake. I can claim that without reservation as I had one of those later on when we went for lunch at this gem of a place. 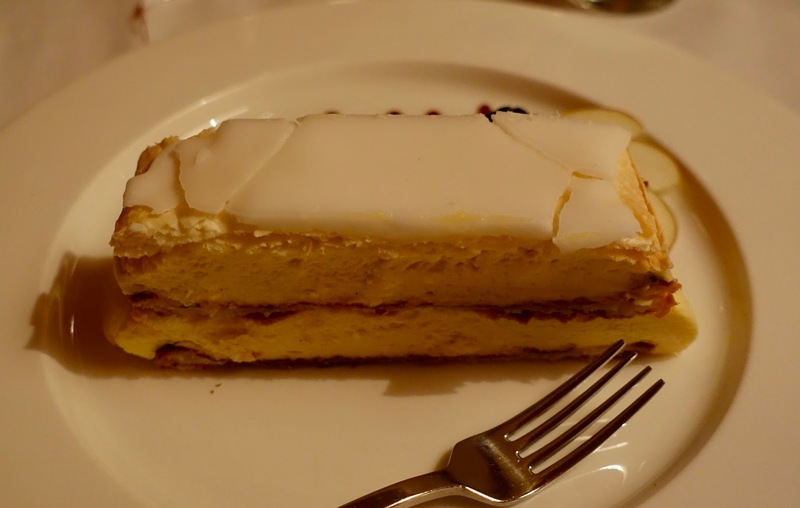 The pastry was crispy and the cream was smooth and big on flavor. And you can order this treat by centimeter, 3 centimeters should do it for an average eater. Staff is welcoming, helpful and attentive. The chef pops in after dinner to say hello and to answer questions that may arise. Prices are competitive compared to other similar restaurants in the area and given the quality you get here. 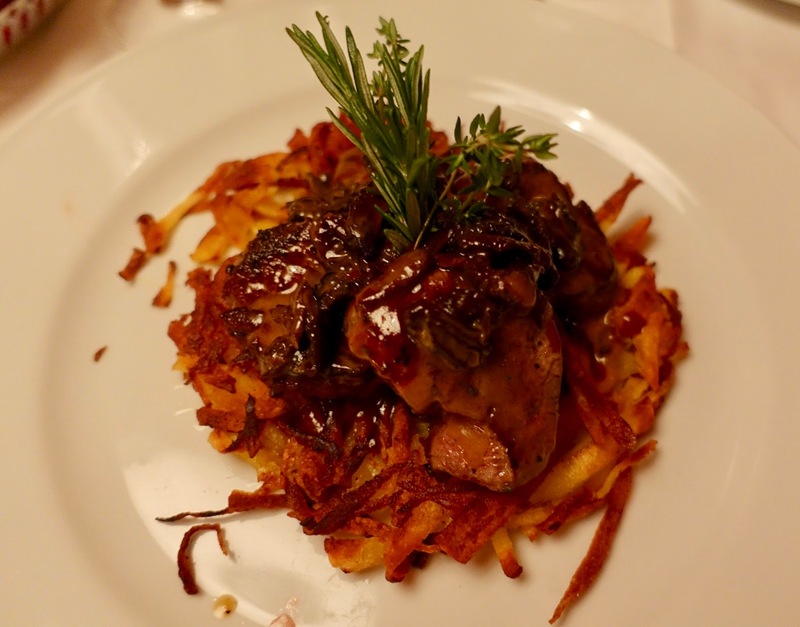 If you feel like having rustic food with a twist now and then, well made and tasty, then Gasthaus Islen is your choice. The young chef does solid work, no unnecessary show on the plates, just very down to earth dishes. Together with a pleasant ambiance and a motivated service team this makes a good combination.